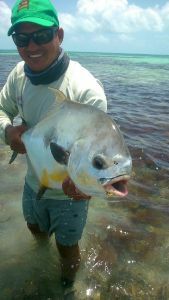 Library Video Video - Xcalak's Salty Buffet - Fly Fishing Mexico's Flats - Giant Bonefish and MORE! Video - Xcalak's Salty Buffet - Fly Fishing Mexico's Flats - Giant Bonefish and MORE! Buffet Series Episode 2 - Xcalak is a small secluded fishing village located near the Mexico/Belize border. Surrounded by flats that are full of bonefish, permit, snook, jacks, barracuda, and many other species, Xcalak is the perfect place for a saltwater fly fishing destination trip.